“Should we be saved from oblivion after what we’ve done?” asks Deth Rok vocalist Aaron Havill on “Good Question,” the first song from his brooding, despairing debut, Us & Them, an album of electronic-based music that incorporates elements of trip-hop, industrial, goth and melancholy singer/songwriter melodies as it winds its way towards the apocalypse. Us & Them is scheduled for digital release on iTunes April 30, 2013, with European street date of May 3, 2013 and a US street date of June 18, 2013 on 13th Planet Records, with a record release party scheduled in Hollywood, CA on May 4th, 2013 at Bar Sinister. 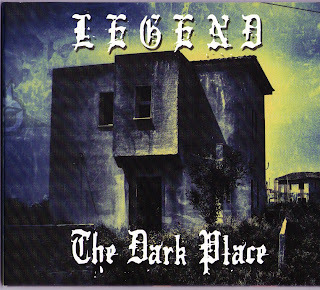 The album was written, programmed & engineered entirely by Havill and recorded Fall 2012 at Ministry frontman Al Jourgensen’s 13th Planet Studio in El Paso, Texas. Under the production mentorship of Jourgensen and Ministry alum Sammy D'Ambruoso, Us & Them is composed of 14 original and innovative songs and features additional drum editing by another Ministry veteran, drummer Aaron Rossi. Havill handled all other instrumentation, including electronic programming, keyboards, guitars, bass and vocals. “Ghosts Everywhere” is a multi-textured horror-film soundtrack about the gradual march we all make towards our inevitable demise and the possible afterlife that awaits us. “May Cause Deth,” the track that first caught Jourgensen's attention on the 2012 Ministry tour during a discussion with Havill regarding pharmaceutical advertisements and side effects, is an extensive collection of snippets from medication commercials that mention the dangerous and sometimes fatal side effects of the substances, layered over a soundbed of pulsing bass, shuffling samples and harrowing keyboards. 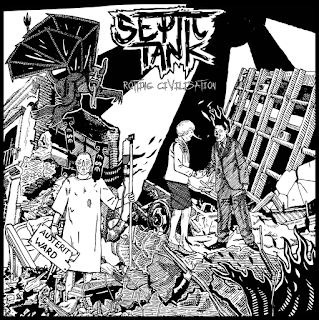 Additionally, the influence of "May Cause Deth" can be heard on the track "Side F/X" on the upcoming Ministry release, From Beer to Eternity, which accesses Havill's stockpile of side effects samples. 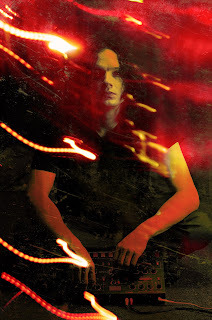 While Havill’s demented music is partially inspired by horror films, depression and drugs, it’s even more influenced by years of thought and experimentation and the abundance of influences Havill has taken in over past two decades, including Tricky, Public Enemy, Beastie Boys, Ministry, Leonard Cohen, Mark Lanegan, Dax Riggs, and Townes Van Zandt. But what Deth Rok does with electronics and barren vocals takes apocalyptic sound collage to new levels of darkness. 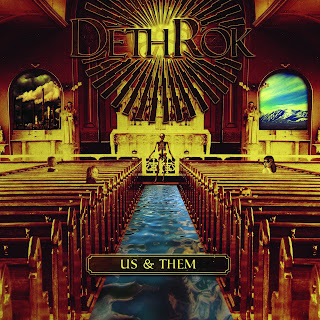 While Us & Them is Deth Rok’s debut release, Havill has been involved in production and sound design for over a decade and co-engineered the upcoming Ministry album From Beer to Eternity between Deth Rok sessions. Additionally, he has worked in the studio with Chuck D, Tony Visconti, Ric Ocasek and other music luminaries. And when he isn’t touring with Deth Rok Havill techs for various artists on the road, including Lou Reed, Ace Frehley, Faith No More, Regina Spektor and Scissor Sisters. Havill's concluding statement on Deth Rok's Us & Them is a gruesomely haunting version of Portishead's "Wandering Star," the original of which is considered to be the musical epitome of depression and despair; and yet Havill's interpretation takes the track to an even deeper, creepier level of spiritual despondency. Us & Them turns downtrodden beats and unsettling sounds into dread-laden pieces of art. Hold your breath, step into the black and let it consume you in a vortex of inviting sound.